With our largest format placed along well-trafficked roads and in the metro, you have the opportunity to be seen in 68 municipalities. Large advertising sites with large impact reach many people and are ideal for building brands and driving sales. Attract the attention of your customers with the most classic advertising sites in Sweden. Billboard Metro City group of 2 30 Billboard., Transit. Reach people in Stockholm City with billboards in the metro. Billboard Metro group of 2 80 Billboard., Transit. Reach people in Stockholm City with billboards in the metro. Billboard Metro group of 5 L 130 Billboard. 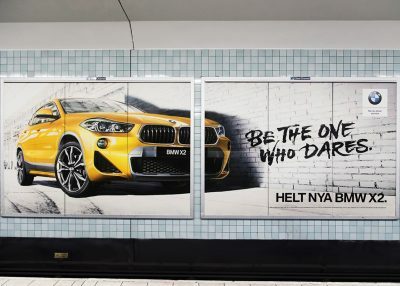 Reach the citisens of Stockholm in their everyday lives with billboards. Billboard Metro group of 5 M 65 Billboard., Transit. Reach the citisens of Stockholm in their everyday lives with billboards. Billboard National 700 Billboard. Build strong brands all over Sweden.